Hockey is back and the home opener is rapidly approaching. 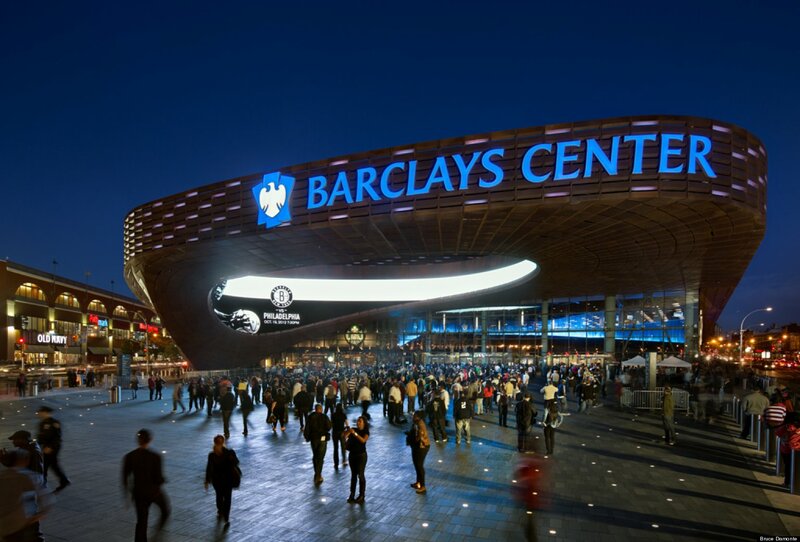 Barclays Center has known for years that this day would come, but as we approach the final weeks before the puck drops on Friday, October 9th, there are still decisions being made that will impact the game experience for fans. 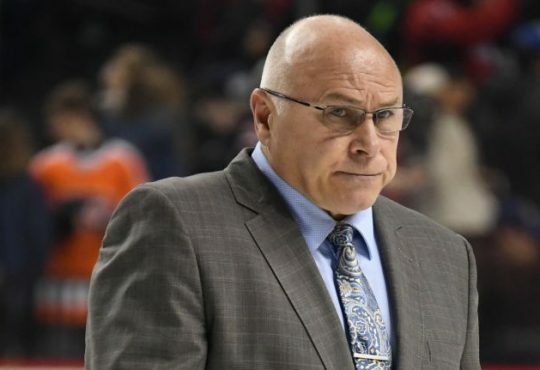 After attending last night’s 3-2 Islanders win over the Flyers last night, here are a few tweaks that I hope the team implements before Game 1 in Brooklyn. “As we start our preseason schedule with tonight’s game against the Flyers, we will begin incorporating various in-game elements and traditions into the overall experience, such as the team’s famed organ and long-time organist Paul Cartier. The Islanders 4 Stanley Cup Banners currently hang next to the Nets retired numbers and there isn’t much space for anything else. It’s kind of cramped up there. The other side has all the Nets division and conference banners and the Jay-Z banner is untouchable. 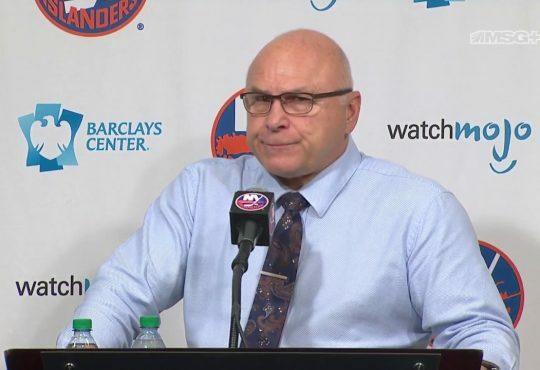 Last season at Nassau Coliseum, the Islanders had 28, that’s TWENTY EIGHT banners hanging from the rafters, it is hard to imagine that all of the conference, division and President Trophy banners make their way out of storage. Fans on social media construed this statement to mean that there will be new banners with consolidated lists of the years titles were won. 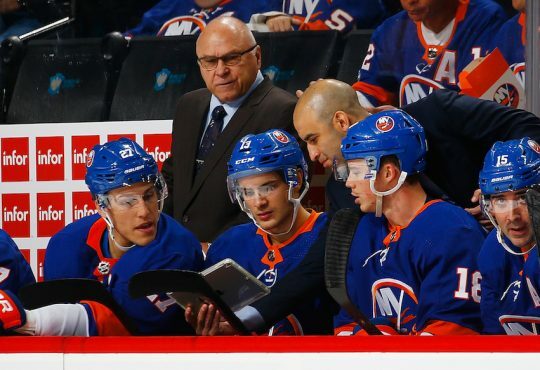 Think the way the Islanders HOF looks with a list of names. We will find out soon enough. When the Islanders score a goal, it sounds like Barclays Game Operations is playing a “islesgoalhorn.mp3” file downloaded the night before from LimeWire or Napster. The building had just over 5,000 fans in attendance last night and still it was hardly audible. The difference is obvious to anyone who attended games at The Coliseum in previous years. There is no reason why I can find better sound quality on YouTube than at the arena. This needs to be improved. I’m not saying the Ice Girls need to come back (like they did in Philadelphia), that isn’t going to happen, but does the entire crew need to be dressed up in all black jump suits? I think they have gone from one extreme to the other here. Let’s get some orange and blue in the ice cleanup mix. Last night’s game wasn’t televised, but I am very curious to see where Shannon, Stan and Co. will be situated when the season begins. Post Game meet ups down the escalator and around that white picket fence was an awesome experience after victories last season. Even if you were watching at home, hearing the Blue & Orange Army chant YES! YES! YES! 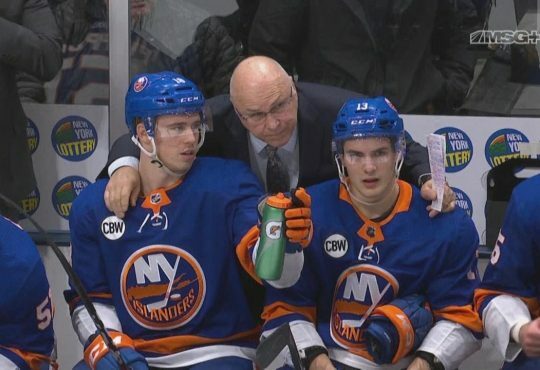 or “FIRST PLACE” while Shannon interviewed Matt Martin was special and unique to the Islanders in-game experience. It also gives fans the opportunity to meet Butch Goring, Mike Bossy, Rick DiPietro and other guests/analysts during the year. I think the area behind the net, where Paul Cartier is could be a good landing spot since it is right on the concourse when you walk in, but there are other viable options as well. I don’t know how it was at ice level, but in the 200s, it was FREEZING! I could barely tweet during the game because my fingers were numb. I even went to the bathroom once just to run hot water on my hands. If it needs to be that cold to have the best ice conditions in the NHL, fans will need to be dressed appropriately and by appropriately I mean wear every jersey you have in your closet. Monday was just the first pre season game so I am hopeful that there is room for improvement both in the short term and in the long term. The signage, especially around the arena is impressive and the amenities, concourse experience, bathroom lines, etc are a massive improvement. 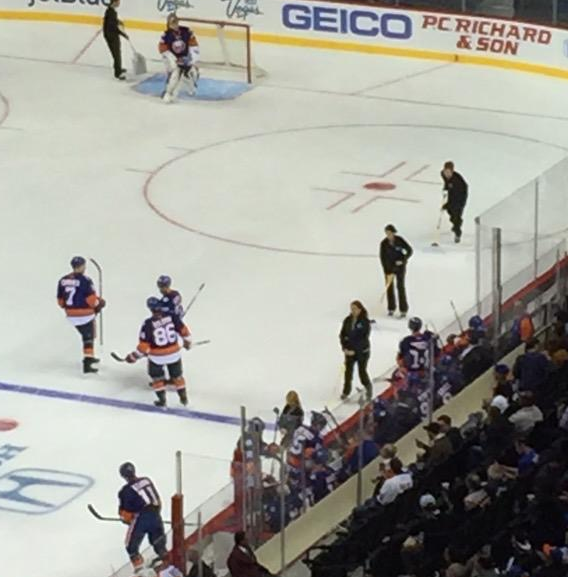 I just feel Barclays is just a few very simple changes away from making it feel like the Isles’ new home should. Poulin Claimed by Tampa Bay: Who is Stephon Williams?